This weekend, I attended my first two car boot sales of the year. Mother Nature was thankfully on my side and the weather was perfect for a good rummage! I managed to pick up some lovely bits and bobs. Some of them are for me and the others will be making their way into my vintage shop, Isobelle's Pantry. I set up Isobelle's Pantry in October last year. I've always been passionate about vintage and it just seemed right to share this with like-minded people. The shop allows me to source and share amazing items. I love researching them when I home to find out all about their history. 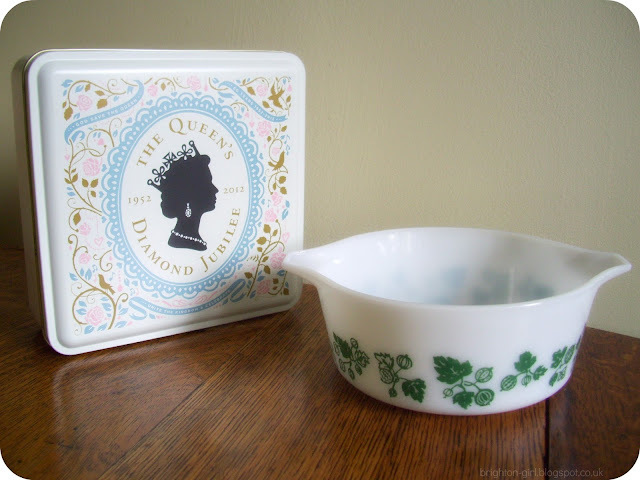 For me the stories behind the items are what makes buying (and selling) vintage so special! 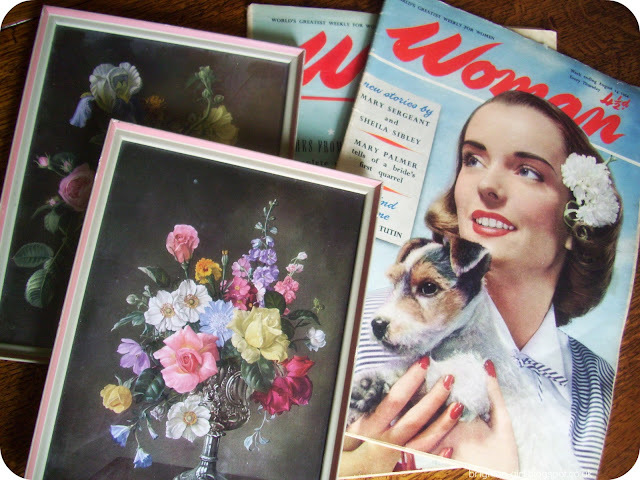 The floral prints, Pyrex dish and 1950s Woman magazines will all be making an appearance on Etsy very soon; after a good clean and a photo shoot! I adore the magazines. Both the adverts and editorials inside are fascinating and I'm in love with that puppy on the cover! For myself, I bought that commemorative biscuit tin from M&S. I tried my hardest to hunt one down last year but they'd sold out everywhere. I'm really pleased I spied this one, it's going to look perfect in my bedroom. I also came across this Topshop nail polish in Eyes Of Steel. It's a gorgeous silvery-pinky-lilacy shade and looks amazing in the sunshine when it's on! Overall, I'm very happy with this week's car boot bounty and can't wait for next weekend! Have you found any bargains at car boots lately? Ah such beautiful things! 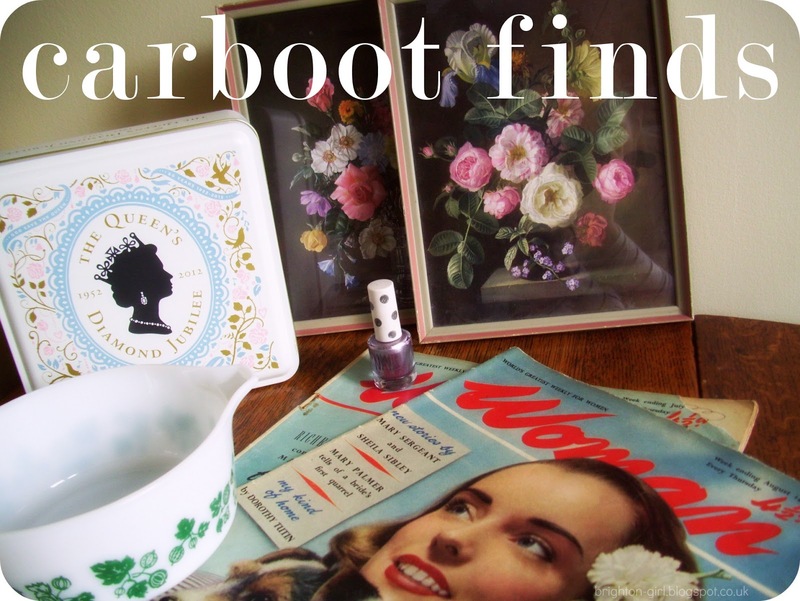 I love car boot sales and used to go regularly when I lived in Wiltshire, but now I'm in Brighton I haven't been to one in ages - may have to go exploring further afield! The floral picture is gorgeous!